link Moving to the cloud link Forced to innovate link What's hot? Over the past few years, analysts have been warning of a data tsunami, a tidal wave of information that has to be stored, mined and understood. Yet, how can executives get to grips with the amount of storage - and type - that will be required? Especially within what is roundly accepted to be a tight economic environment in which each vendor is pushing its own hot technology. Derek Rule, client executive of Indirect at SUSE, notes: "Enterprise data grows at 40% every year, driven by the growth and importance of data in the digital transformation." Rule adds that storage will explode due to a 50-fold growth of data between 2012 and 2020. He notes that by 2019, Gartner predicts that 70% of existing storage array products will be available as software-only - or flash - versions. Its Worldwide Quarterly Cloud IT Infrastructure Tracker, notes - of that amount - 61.2% will be invested by public cloud datacentres, while off-premises private cloud environments will contribute 14.6% of spending. "With increasing adoption of private and hybrid cloud strategies within corporate datacentres, spending on IT infrastructure for on-premises private cloud deployments will growth at 16.6%. In comparison, spending on traditional, non-cloud IT infrastructure will decline by 3.3% in 2017," says IDC. However, traditional IT infrastructure will still account for the largest share at 57.1% of end-user spending. In 2017, spending on IT infrastructure for off-premises cloud deployments will experience double-digit growth across all regions in a continued strong movement toward use of off-premises IT resources around the world, says IDC. However, the majority of 2017 end-user spending (57.9%) will still be done on on-premises IT infrastructure, which combines on-premises private cloud and on-premises traditional IT. In on-premises settings, all regions expect to see sustained movement toward private cloud deployments with the share of traditional, non-cloud, IT shrinking across all regions. Ethernet switches will be fastest growing segment of cloud IT infrastructure spending, increasing 23.9% in 2017, while spending on servers and enterprise storage will grow 13.6% and 23.7% respectively, it adds. "In all three technology segments, spending on private cloud deployments will grow faster than public cloud while investments on non-cloud infrastructure will decline." Long term, IDC expects that spending on off-premises cloud IT infrastructure will experience a five-year compound annual growth rate (CAGR) of 14.2%, reaching $48.1 billion in 2020. Public cloud datacentres will account for 80.8%of this amount. Combined with on-premises private cloud, overall spending on cloud IT infrastructure will grow at a 13.9% CAGR and will surpass spending on non-cloud IT infrastructure by 2020. Spending on on-premises private cloud IT infrastructure will grow at a 12.9%CAGR, while spending on non-cloud IT (on-premises and off-premises combined) will decline at a CAGR of 1.9%during the same period, says IDC. Enterprise data grows at 40% every year, driven by the growth and importance of data in the digital transformation. However, says Claude Schuck, regional manager for Africa at Veeam, it is difficult to plan ahead with the anticipated data explosion. One way of controlling this explosion of data and making it more predictable is by offloading workloads to the cloud. "Businesses can keep their critical workloads onsite and offload the non-critical workloads to a hosted provider." This, he says, allows companies to keep costs under control. Rudi van Rensburg, Dell EMC's senior enterprise manager, All Flash, Primary Storage Division, adds that storage must be factored into business decisions. "Modern applications and data have evolved storage into playing a crucial role in how the business can perform." Van Rensburg notes that executives shouldn't treat storage as background plumbing that they top up. "Modern storage systems are enabling companies to work with data and applications at real-time speeds. There must be plans for managing those areas, as well as the infrastructure that enable them, and align those plans to the business' strategy." There is no doubt, as Rule points out, that the storage market is growing rapidly, creating a new market for open source solutions, software-defined storage, and cloud computing. IT has traditionally worked out its storage requirements by looking at data growth levels, and making a projection, says Rule. However, he notes, as the South African market progresses to software-defined (or flash) storage, businesses should then ideally have one storage pool, one storage budget - all on an unlimited scale. Rule adds cloud computing is experiencing strong sustained growth across the industry, and the relevance of the emerging cloud market to storage and how cloud infrastructure is evolving is driving increased demand for storage products. He adds that in October 2016, Gartner predicated that by 2021, more than 80% of enterprise data will be stored in scale-out storage systems in enterprise and cloud datacentres, up from 30% now. However, before moving to the cloud, there are several issues to consider. Neil Cosser, identity & data protection manager for Africa at Gemalto, says moving to the cloud brings with it new challenges because, "the old-school data protection approach and technologies...just won't work in the cloud. It will leave sensitive data exposed, and that's not cool." The old school data protection approach and technologies...just won't work in the cloud. This, notes Cosser, is happening at a time when IT teams are faced with more security threats, more compliance mandates, and more data to protect. Van Rensburg notes the cloud creates new benefits for companies, but also brings along new considerations and restrictions. As an example, he cites the fact that public cloud storage is cheap and very accessible, but comes with data sovereignty considerations, and security is also, as ever, important. "But don't treat these things in isolation. They must form part of the overall business strategy. It's not that your storage or your network or your data may be exposed. It's all of the above, because if one is exposed, they all might as well be." Schuck says offloading workloads to the cloud will make storage costs more predictable, but there are a number of considerations, like in which country the data resides, how easily it can be accessed, how much control companies have over the data, and what happens when companies want to move providers. Cloud, Van Rensburg adds, is good at scaling storage and that makes storage a lot cheaper; its impact on storage has been `immense' because it helps shift some of the operational burden away. "Complicated systems such as disaster recovery are becoming a lot more streamlined and accessible thanks to the cloud," says Van Rensburg. He notes that there is a belief that traditional storage vendors are being threatened. Yet, "the cost per gigabyte of storage has plunged massively in the past decade, but shipment numbers for spinning platter drives are going up, not down." In addition, he says traditional vendors have also been acquiring newer technologies, such as solid state. However, Jason Barr, divisional head of storage and availability at XON, says traditional storage vendors are `definitely' being pressured to innovate new products and services, and most of the innovation is focused on containing costs through technologies such as de-duplication and compression that help get more data volume onto the same technology real estate - essentially putting double the data capacity into the same drives. Julie Tregurtha, head of database & technology and mobility sales at SAP Africa, adds SAP is seeing more innovation from storage vendors in the area of flash storage in reducing costs and increasing capacity - but they are under pressure from the traditional `compute' vendors as customers move into the `in-memory' processing space provided by those vendors. "This has resulted in more 'converged' systems on the market - these are appliances that have both compute functions as well as storage (SDD and RAM) within one unit. This is great for customers as they get extreme performance and storage from a single appliance." Barr notes the storage technologies that are now starting to make an impact on executive horizons are the ones that drive toward a single storage hardware platform based on commodity technologies to contain costs, but use intelligent software to provide high availability and performance features. "Multi-layered software intelligence is a model that's proven itself in many other facets of the IT industry, particularly networking, and the benefits are now being brought to bear in the storage sector." Rule says because companies are tightening up on operational costs and seeking innovative solutions - while tackling big data issues - executives have now started to consider SDS, which provides flexibility and scale, without breaking the bank. He notes the interest in SDS is exponential, adding Gartner has called it the future of storage. "In this software environment, we are seeing open source making storage solutions more flexible, reliable, and easier to manage than before. Relying on a software-defined storage approach will make it possible to more effectively manage data-rich environments with the required agility to continually cater for the growth experienced." Rule says the hottest and best storage technology is `definitely' Ceph, which he says is the quasi-standard for SDS. Van Rensburg argues flash solutions are `without doubt' the next important benchmark for storage. He argues the value of these solid state technologies has risen sharply, as they are faster, and take up less space. "The speed, software and compression advantages of an all-flash array can comfortably do the job of eight times as many spinning platter drives." 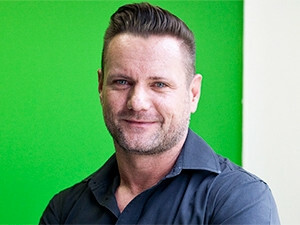 Schuck says hot technologies include hyper-converged infrastructure, which integrates compute, storage, networking and virtualisation resources, and commoditises the hardware and delivers business value through software. Tregurtha says SAP is seeing columnar storage gaining huge traction across the industry, as it allows significant compression of the data - on average at 80%. The company is also seeing Multi Temperate Data Storage taking off, as well as Intelligent Data Storage, which seeks to `massively' reduce storage requirements by creating new storage layouts based on these new data sets. Hein Matthee, solutions architect at Redstor, says Docker Containers are starting to take off. Regardless of which solution a company looks at, the price of storage will continue to fall, although prices have started to flatten out, says Van Rensburg. He adds flash technologies will continue to become cheaper and the industry can expect new breakthroughs like 3D flash storage expand into the market. However, he argues, hybrid cloud will drive the changes in storage. "Companies are reducing their operational overhead by using cloud storage to store assets such as cold data and disaster recovery. As they reinvest those budgets into new internal systems, they will realise the value of storage as a business driver since business applications thrive on it." Wikipedia defines software-defined storage (SDS) as a marketing term for computer data storage software for policy-based provisioning and management of data storage that is independent of the underlying hardware. The online resource notes software-defined storage typically includes a form of storage virtualisation to separate the storage hardware from the software that manages it. This software can also allow for policies to be put in place that deal with aspects such as data deduplication, replication, thin provisioning, snapshots and backup. Wikipedia notes interest in SDS, which is based on similar concepts as software-defined networking, rose after VMware bought Nicira for more than $1 billion in 2012. * - IDC declares a statistical tie in the worldwide enterprise storage systems market when there is less than one percent difference in the revenue share of two or more vendors. * - Dell Technologies represents the combined revenues for Dell and EMC. * - Due to the existing joint venture between HPE and the New H3C Group, IDC will be reporting external market share on a global level for HPE as "HPE/New H3C Group" starting from 2Q 2016 and going forward.